Downtweet is ready to roll with its latest tweet search function. 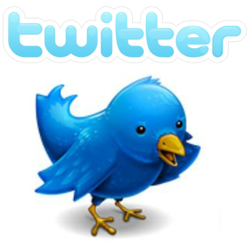 This Twitter widget is gradually making a name in the cyberspace. It offers real-time and informational tweeting experience for many people. Web applications and widgets have varying functionalities and purposes. Some widgets are meant to record audio files, while others can play videos in real-time. Others provide RSS feeds that are really useful. In this flurry of widget activity, only the unique application can stand out. This is the strong factor of a reliable Twitter widget known officially as Downtweet. Downtweet is reliable when it comes to information and entertainment delivery. For an application to become successful, information and entertainment must coexist. These two factors can determine how many people will become interested on a regular basis. For starters, Downtweet is similar to Twitter, but it is more focused on tracking down tweets and providing better visibility for websites. That is why some bloggers refer to Downtweet as the ‘application with homing capability.’ The function to reach different kinds of tweets is something that is really useful and entertaining for many people. For bloggers, however, a reliable tweet search is a gold mine. Tweets are sources of ideas that a blogger can use. These ideas can lead into new posts, which in turn can generate more readers and blog activity. Content is king in the cyberspace, and people are always looking for fresh information. The tweets are also categorized in Downtweet so users can find them easily. A user can select from an array of categories such as news, politics, comedy, business, sports, pop music, fashion, and some tweets related to famous celebrities. This versatile function specifically targets Twitter’s passive users, but it is really for everyone. Some bloggers also refer to Downtweet as a Twitter search engine. Embedding Downtweet for a blog is a brilliant visibility move. This is very useful if the blog is just in the starting stage and has nice content. Downtweet amplifies the way blogs connect to people. Once visitors are entertained by Downtweet’s functions, they will keep coming back for more. Returning visitors mean great frequency of hits and a better ranking.